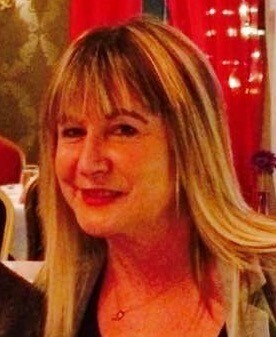 Audrey Tynan is a patient here at St James’s Hospital, with our Gynaecological Cancer and related services primarily, but she is now coping with the life-changing impact of lymphoedema with the additional issue of recurring cellulitis and the risk of sepsis. Audrey’s current condition can be traced back to necessary surgery she received, to treat cervical cancer in 2001. At that time, Audrey had never been ill, so to receive a cancer diagnosis was a great shock and she was quickly entered into a treatment programme, which included radical hysterectomy and removal of lymph nodes, followed by chemotherapy and radiation therapy. Audrey made a great recovery and proceeded to get on with her life. Seven years later, Audrey developed pain and swelling in her right leg and a CT scan and tests revealed a tumour on her para-aortic lymph node which required further surgery, chemo and radiation. This was a major open surgery. The type of surgery she had can now be done through keyhole which is great progress. The recovery from this surgery was a lot harder than her first surgery for cancer. She went through more chemotherapy and radiation for 6 weeks. It was during these weeks that she noticed a change in the size of her right leg and was in fact limping and in pain. Because there was so much going on with the therapy she was already getting she was hoping it was something that would pass. Unfortunately this was not to be the case. It was the start of chronic lymphoedema and in her case repeated episodes of cellulitis, which in many cases developed into sepsis and regular admissions through A& E for IV antibiotics. 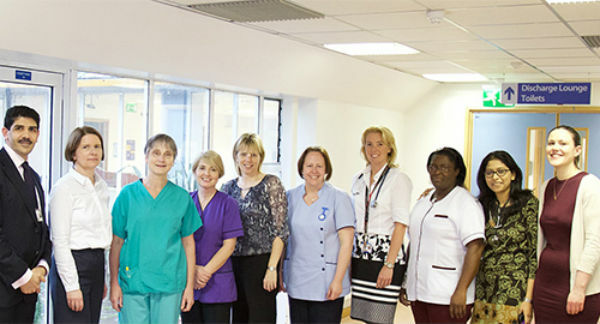 Dr Noreen Gleeson, Consultant Gynaecological Oncologist at St. James’s Hospital explains “The current standard surgery, removing all the lymph nodes inside the pelvis interferes with the flow of fluid in the lymph circulation from the legs and genitalia. As a result, some women, like Audrey, develop very debilitating health problems like swelling of their legs or genitalia (lymphoedema) or recurring infection (lymphangitis), and even sepsis as a result of the complete removal of the lymph nodes. For Audrey, lymphoedema has been entirely life changing. Her admissions to St James’s, via A & E are increasing, and last year she had between 8 and 9 infections and subsequent hospital admissions. She has to have a bag packed and ready for the hospital as she never knows when it will strike. Audrey’s life is restricted by the lymphoedema, which she has to constantly manage. Lymphoedema causes exhaustion as it restricts the flow of fluids and impacts the filtering of the blood, leading to Audrey feeling breathless and tired, often carrying an additional 3 to 4L of fluid in her right leg. Apart from the physical change and having to select clothing and footwear to suit the size of one leg, there is the constant fear of infection and having to be rushed to A & E. Once the sepsis kicks in the deterioration is rapid and the key is IV antibiotics as quickly as possible. She carries a letter with her explaining her condition and how quickly it can progress and also the combination of antibiotics that have worked on her in past admissions. She also has to take an antibiotic every day to try and reduce the risk of infection. For Audrey, these resulting complications from the essential surgery are in many ways, worse to cope with then the cancer itself. When she was being treated for cancer, she was on a defined pathway of treatment which she went through step by step. This is not the same experience for lymphoedema where there is no specific treatment pathway and limited resources available in relation to treatments such as deep massage. It is a complex condition which is not fully understood. 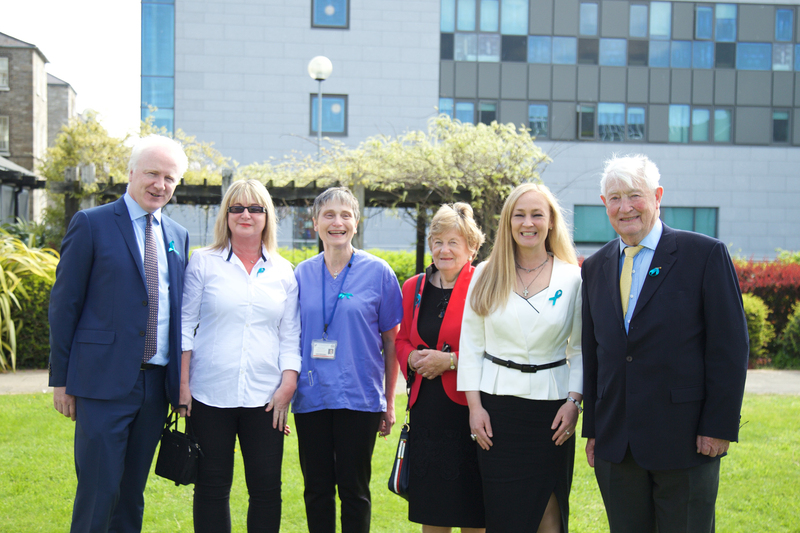 8TH May 2017: St. James’s Hospital and the Emer Casey Foundation today marked World Ovarian Cancer Day 2017, by celebrating the Emer Casey Foundation’s donation of €60,000 towards the purchase of much needed surgical equipment at the hospital. Pictured from left to right were: Lorcan Birthistle, CEO St. James’s Hospital, Audrey Tynan, Dr Noreen Gleeson, Juliette Casey, Juliette Casey (her daughter) and Brendan Casey, of the Emer Casey Foundation.